The Samsung Galaxy S7 is available to pre-order from a range of carriers, pre-orders of handset comes with a free Samsung Gear VR headset. Now Verizon Wireless is offering an alternative to the Gear VR whe you pre-order the Samsung Galaxy S7, you can choose a Samsung Gear S2 smartwatch instead. The Samsung Galaxy S7 comes with a 5.1 inch Super AMOLED display with a Quad HD resolution of 2560 x 1440 pixels, the handset is powered by a Samsung Exynos 8990 or a Qualcomm Snapdragon 820 and it features 4GB of RAM. Other specifications include 32gB or 64GB of storage, plus a microSD card slot and the device features a 12 megapixel rear camera and a 5 megapixel front camera, plus Android Marshmallow. 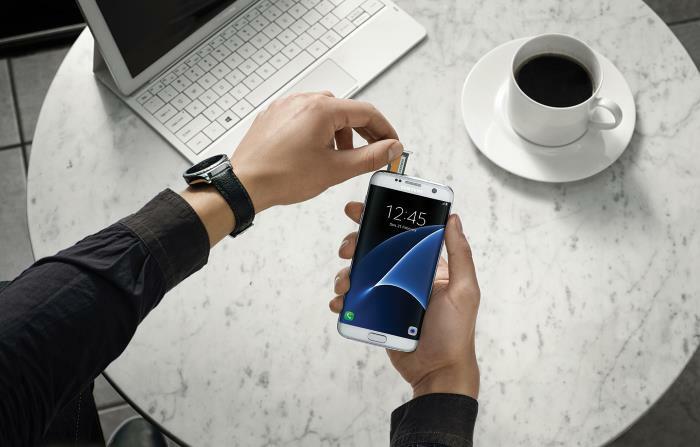 Verizon Wireless is offering the Galaxy S7 on a range of their contracts with prices starting at $28 a month on their monthly payment plan, the handset is also available for a one off cost of $672, you can find out more details at the link below.